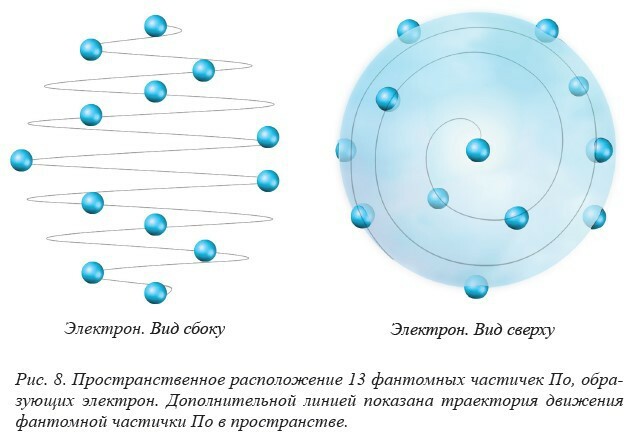 I am a simple engineer and quite recently had a chance to familiarize myself with the report «PRIMORDIAL ALLATRA PHYSICS» which was prepared by the international research group of the ALLATRA International Public Movement and which contains unique information on the structure of an electron. Echoes of this ancient teaching which existed in the East were reflected in different Indian literary books including such collection as "Vaysheshika-sutra" where there is a mention about an extremely small particle which has a spherical form (parimandalya) and which is a constant unchangeable first cause of things (p. 11) . 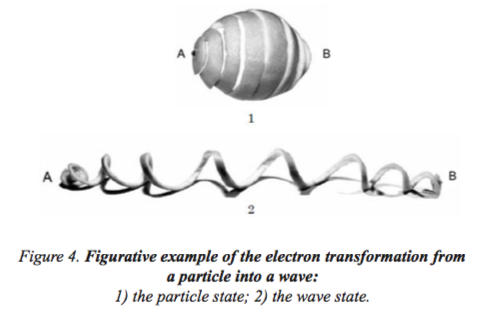 Notional centres of the phantom Po particles of the electron’s left-handed spiral structure are located on the sphere’s surface (similar to an extremely small particle which has a spherical form (parimandalya)). 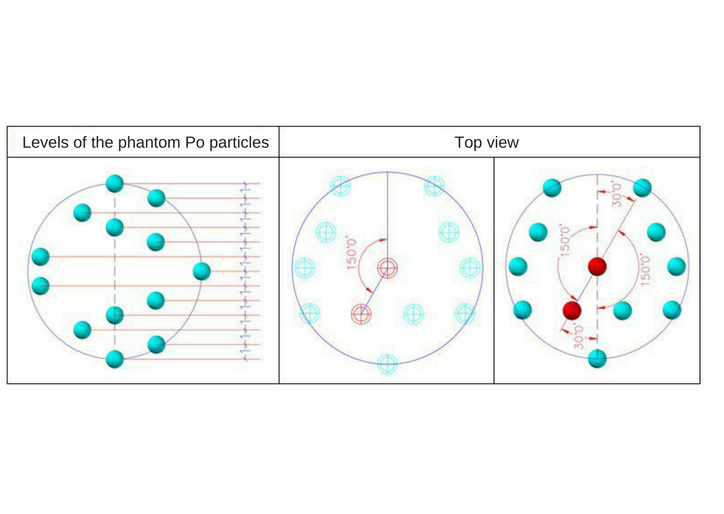 Notional centres of the phantom Po particles are evenly distributed from one sphere’s pole to the opposite, that is, an absolute distance (by size) between ezoosmic membranes corresponds to the distance between phantom Po particles along the central axis, joining the main and the closing phantom particles (each phantom particle is located on its own level). Spatial left-handed spiral of an electron has a variable radius. The number of loops in the electron’s left-handed spiral is equal to 7 (seven). The height of the spiral was changed randomly to observe the results of the modeling. 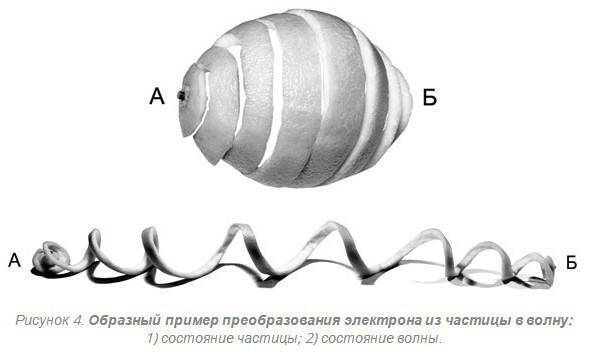 Such a spatial spiral structure did not correspond exactly to the Figure 8 in the report , however, its similarity is obvious, and thus it was necessary to model the spiral correctly and clarify the spatial arrangement of the phantom Po particles and then they would form a working AllatRa sign. So, it was necessary to analyze everything from a different perspective. Let’s introduce a relative value \(\Delta\) which will represent the ratio of the number of loops to the number of spaces between the phantom Po particles in the electron. This relative value \(\Delta\) underlies the fundamental process of maintaining the temporary existence of all material Universe - the process of EZOOSMOS. It is known that one full loop of the spiral corresponds to the 360° angle. 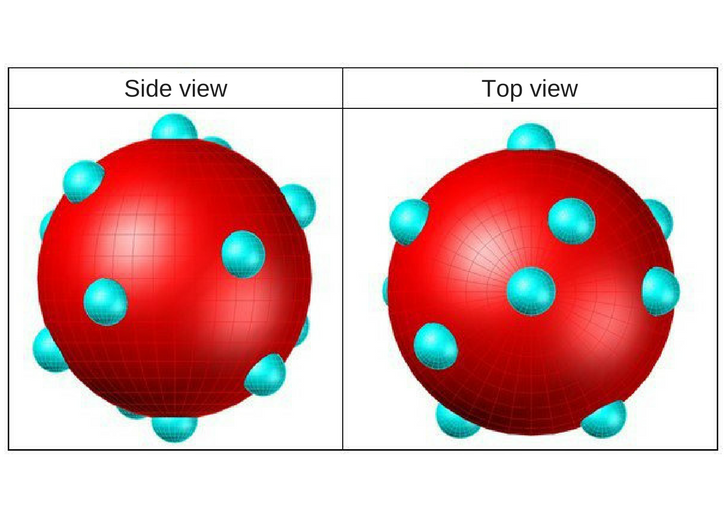 It’s also evident that the notional centres of the phantom Po particles are distributed evenly along the axis of the electron connecting two polar points, that is, phantom Po particles are located on certain levels (similar to the cities that are located on different latitudes of our planet). Since the absolute distance between the ezoosmic membranes remains constant in any conditions (p. 59) , then it can be considered to be equal to 1. And 7 loops of the electron’s spiral correspond to 2520°. 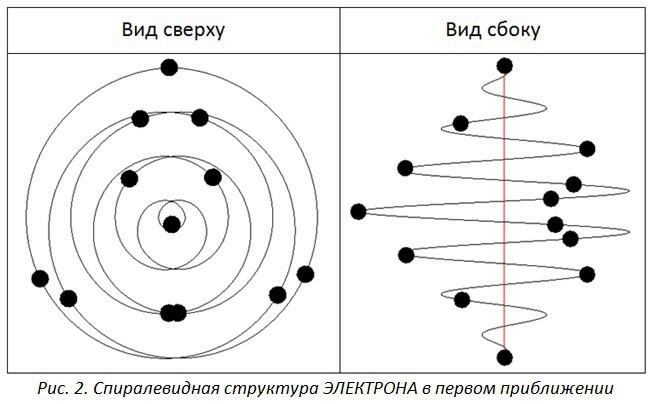 Let’s have a look at the general principle of arrangement of the electron’s spiral structure. There is always one phantom Po particle on the upper pole and one on the lower pole (one main particle and one closing particle). Other phantom Po particles are unevenly distributed along the trajectory of the spiral structure at the equal dihedral angle (210°) and an interval of equal height (which can be considered to be equal to 1). 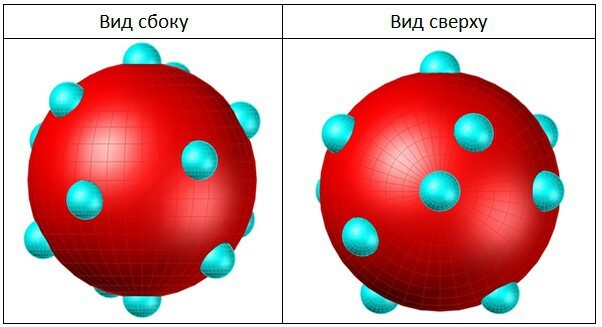 In this way the notional centres of the phantom Po particles are arranged on the surface of the sphere, a diameter of which equals to the number of spaces between the electron's phantom Po particles (diameter of the sphere equals 12). For convenience we can use the formulas for transition from spherical coordinate system (azimuthal angle (\(\phi\)) and polar angle (\(\theta\)) of the notional centre of the phantom Po particle) to Cartesian coordinate system (x, y, z) . The origin in the Cartesian coordinate system matches the geometric centre of the sphere (middle of the electron’s axis) on the surface of which the notional centres of the phantom Po particles are arranged. Given coordinate system is local. Fig. 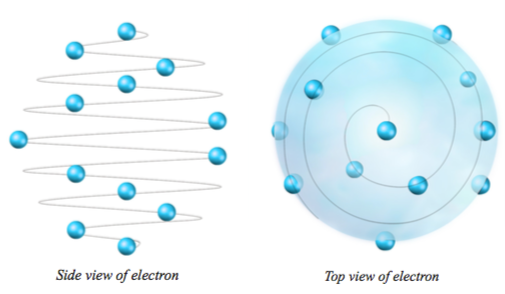 5 The stretched spiral structure of the ELECTRON. Since all of the phantom Po particles are in constant spiral motion, as well the particle itself (the electron) which makes a spiral motion in ezoosmic space, such a schematic representation of AllatRa sign corresponds only to its schematic static state. 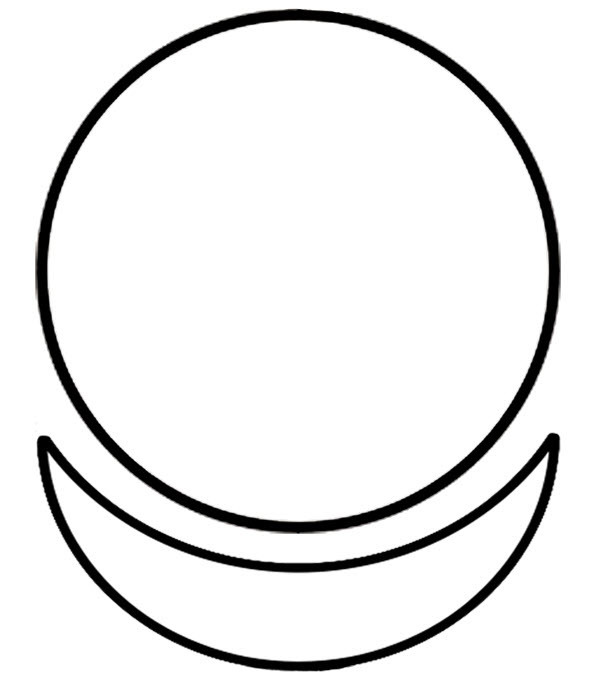 In Figure 6 there are two ways a circle can be drawn (a circle above the crescent), but at the given time it is not known for sure which interpretation of this sign is a correct one, thus this question remains open and motivates for further research. In the dynamic case, however, the representation of AllatRa sign will correspond to the working AllatRa sign from the “AllatRa” book (p.473) . 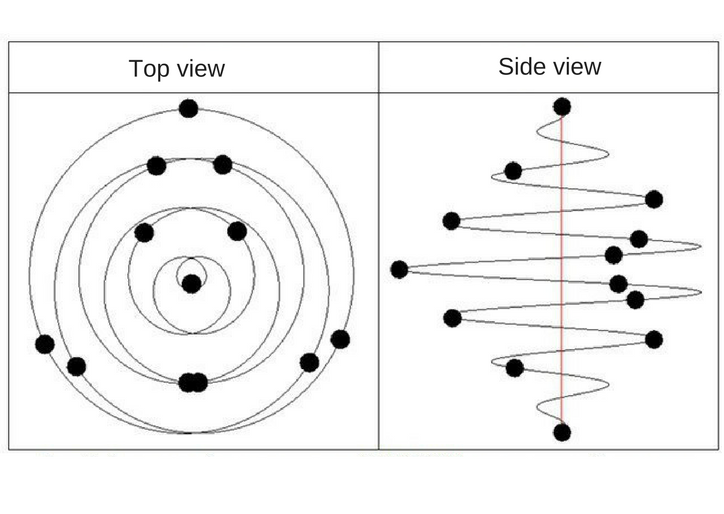 CONCLUSION: the spatial arrangement of the notional centres of the phantom Po particles on the spiral structure on the ELECTRON corresponds to the points through which it is possible to draw symmetrical arcs and a circle resulting in an image very similar to the working AllatRa sign. Key words: electron, elementary particles, structure on the electron, PRIMORDIAL ALLATRA PHYSICS, phantom Po particle, spiral structure, working AllatRa sign. The giants of electricity Tesla, Steinwitz, Faraday, Heaviside, Maxwell all said that electrons don't exist.The existence of the electron is a lie. Government stopped virtually all electrical research in 1905.